Have my cataracts come back? If you have had cataract surgery and your vision is misty again, please contact your doctor or optometrist who may then send you to the hospital for laser treatment of your PCO. For further information on YAG Capsulotomy please click here to read the patient information sheet. The Snellen chart has traditionally been used to measure visual acuity and is easily recognised as one of the hallmarks of the ophthalmologists consulting room. More recently a newer LogMAR chart has been introduced into clinical practice. This was initially used as a research tool however many eye departments now uses it routinely. Cataracts have been treated for centuries using procedures such as couching and various forms of lens extraction. Attaining a high quality postoperative vision had always remained a difficult problem, as the classic means of correcting the loss of the natural lens (the cataract) was always with very thick glasses. These were typically fraught with problems, and led to less than satisfactory results, due to a number of reasons, including visual distortions, restricted visual fields and visual aberrations, all problems inherently related to these high-powered glasses. Sir Harold Ridley drew on his observations throughout his service as a military surgeon during World War II. He spotted that some airplane cockpit and gunnery canopies were fabricated from glass and PMMA and when a canopy was shattered, fragments of these materials sometimes penetrated the eyes of the flight pilots. Sir Ridley witnessed that, " the tissue reaction to this foreign material in the eye was often insignificant”. This thought led him to develop and then implant the first intraocular lenses in patient’s eyes. These implants acted as a replacement of the natural lens and therefore vastly improved their postoperative vision without the need for very thick glasses. In 1949 London, England, Sir Harold Ridley implanted the first intraocular lens and subsequently changed the practice of ophthalmology. Since this time, his invention has been key to delivering the excellent visual rehabilitation to patients having cataract surgery and is still used today during modern cataract surgery. Modern day cataract surgery involves microscopic self-sealing incisions, with specialised ultrasound energy (phacoemulsification) to break the cataract lens inside the eye. A foldable or injectable intraocular lens (a modern version of Ridley’s lens) is then inserted into the eye, allowing for excellent postoperative vision in the majority of cases. For further information on cataract surgery please click here to read the patient information sheet. Does wearing a tie cause glaucoma? 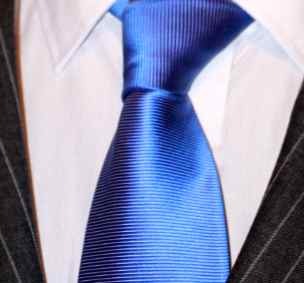 The British Journal of Ophthalmology recently published a study that showed that wearing a tie around the neck might increase your eye pressure. As increased eye pressure is a known risk factor for the development of glaucoma, patients have asked me if they should stop wearing their tie? In this study, the eye pressure was measured to be higher at three minutes after tightening of a tie. The mechanism is thought to be that the tie around the neck constricts the jugular veins, thereby causing elevated pressure in the veins around the eye (where the fluid from the eye drains), in turn temporarily reducing drainage of fluid from the eye and elevating the eye pressure. This increased eye pressure is similar to that seen whilst bending over, coughing or holding your breath. Merely holding your breath when your eye pressure is being measured can increase your recorded eye pressure. It is more than likely that in this study, after a few more minutes, the pressure may have returned back to normal. Indeed, in a more recent study published in the journal of glaucoma, this increase in eye pressure is followed by a significant decrease in eye pressure after fifteen minutes of tight tie wear. There is no evidence that having a slightly increased eye pressure for a few minutes will result in you developing glaucoma. Therefore, avoidance of wearing a tie is not necessary in patients with glaucoma. However, getting my patients to relax during their eye pressure measurement and breathe normally may reduce their recorded eye pressure. Teng, C. et al.. (2003). Effect of a tight necktie on intraocular pressure. British Journal of Ophthalmology, 87(8), 946–948. I am a consultant ophthalmologist based in Peterborough. I’ll be writing a regular blog on ophthalmology related issues. These will cover various topics including cataracts, glaucoma, eye surgery, eye drops and topical eye related subjects. Please feel free to suggest topics for future blogs by emailing my secretary.